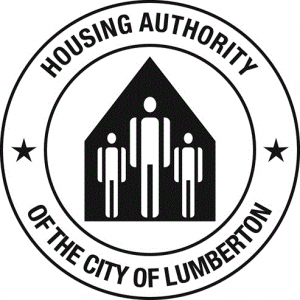 The Housing Authority of the City of Lumberton (HACL), is located within the corporate city limits of Lumberton, North Carolina, in Robeson County. Currently, our main office address is 613 King Street, Lumberton, North Carolina. The HACL was established in 1949 to provide safe, clean, and affordable housing to the low income citizens with assistance to improve the quality of their lives. The HACL operates as a governmental unit, chartered under N.C.G.S. 157 and funded primarily through the Department of Housing and Urban Development (HUD). The Mayor of the City of Lumberton appoints the Board of Commissioners per State law. Currently, the seven (7) member board of commissioners serve five-year terms. Of the seven members, at least one MUST be a resident of the public housing units owned and managed by the HACL. The board of commissioners sets policy and hires the Executive Director, who has day-to-day responsibility to ensure that the HACL operates in compliance with HUD rules and regulations and applicable State and local law. The Housing Authority of the City of Lumberton will re-open the Housing Choice Voucher (HCV) Waiting Listing beginning Monday, September 8, 2014, and it will remain open indefinitely. Interested persons/families may submit an application via MAIL ONLY during this period of time.